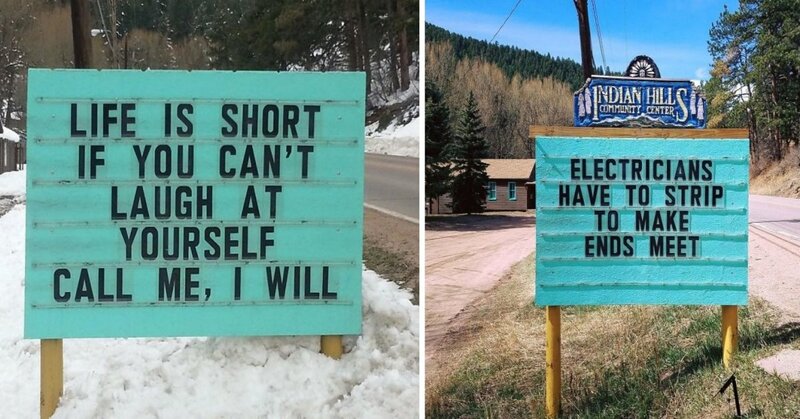 15 Hilarious Signs That Are Every Pun Lover's Dream! 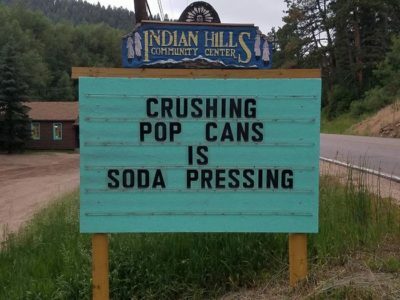 15 Hilarious Signs That Are Every Pun Lover’s Dream! 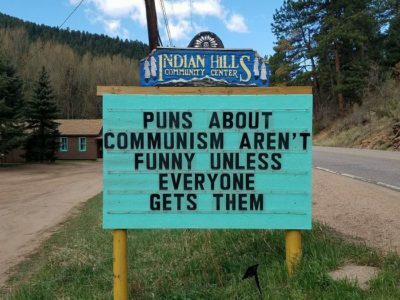 Who doesn’t love a good pun!? Seriously!? Okay, maybe the more mature types will see that kind of humour as beneath them, but I think they have a very valid place in the book of humour! & How do you know that you’ve delivered a GREAT pun!? Well, by the amount of eye rolling and groaning coming from the people around you…& if it’s been a particularly ace one, someone will feel compelled to shout ‘GET OUT’ in your face! That’s when you know that you’ve completely nailed your pun game! 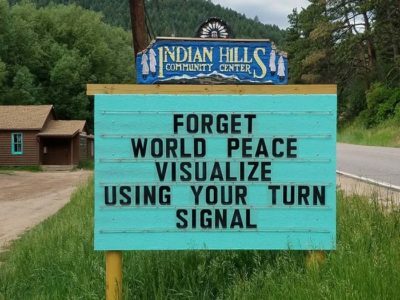 Now, if you agree with me on this, not only have you gone up by about 1,000 points in my estimation of a human being, but, you’re also going to love every last one of these signs out of the Indian Hills Community Center in Colorado. The residents obviously have a great sense of humour and they just love the changing puns put up by Vince Rozmiarek, the community centre volunteer behind the hilarious signs. Get your eye rolls and ‘get outs’ at the ready! They’re punning great! This is one of those where you know that it’s so, so bad…BUT, you have to keep restraining the little smile that is suddenly appearing at the corner of your mouth. 8/10 on the pun scale. This isn’t so much funny, as it is accurate! We got given turn signals on our cars for a reason people! USE THEM! 9/10 just for sheer sass and accuracy. 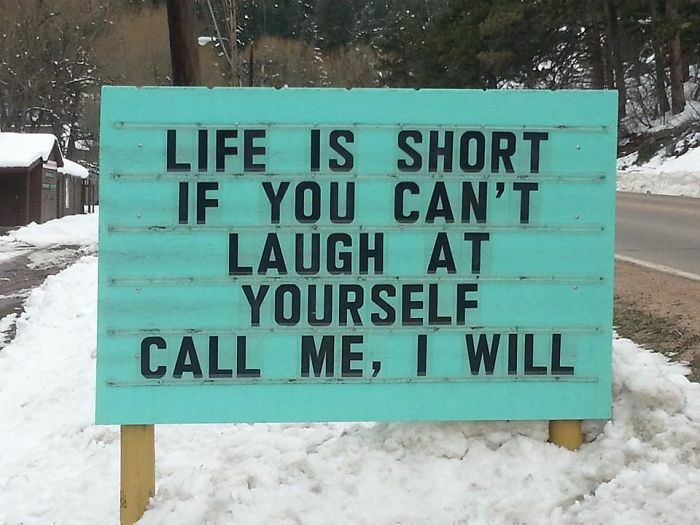 This is true though, you should always try to have a sense of humour about yourself (or someone else will!) I’m sure the volunteers are lining up for this one! 4. I see what you did there! This one is a little too political for my pun liking, but it’s still light-hearted, clever and worth a chuckle! I love this! I think all of us at some point have woken up in the morning and wondered just how we’re going to afford today…or had sleep for dinner. But it’s not as sad when someone makes a pun out of it though! They make everything better! This is very clever and it actually makes you think for a few seconds, some of the best puns are the ones that make you stop and stare blankly for a few seconds before laughing or turning violent on the ‘punee!’ I wasn’t really after the mental image of electricians stripping though…although, it would depend on whom they were! Now, this almost a ‘get out!’ But it’s certainly an eye roll and a corner mouth smile deal! 9/10 on the pun scale for this one! 8. This is Hill Areas! Okay, this one totally got me! Definitely, a ‘get out!’ You can tell that some serious pun thought went into this. Very clever! 10/10 on the pun scale! Bravo! 9. You have to laugh! Who doesn’t love a good animal pun!? Come on, don’t tell me that you aren’t laughing! Or at least trying to resist a laugh! Admit it! 10. Let’s all be Frank here! Wouldn’t we all!? This play on words is quite creative, I’m impressed! Not quite a true pun though, the groan scale isn’t that high. We don’t want to miss any of those steaks, do we?! A great pun that is also a stark reminder of how politically correct everything has become. I like the idea of this, just don’t say anything and let everyone just pick something that doesn’t offend them in their heads, it’s the safest bet, these days. 13. You didn’t get that, did you? You know it’s true if the laugh didn’t come, it just means you didn’t get it, and not the fact that its buttock clenchingly unfunny! Honest! 14. We can be grate again! I have a feeling that this one may not be his own work, I think he may have stolen this one! However, it’s a still a valiant effort, hilarious, clever and totally big on the groan AND eye roll scale! 15. This has just won the GROAN Olympics! Clever puns are great but I personally think that the cheesy, cringey ones are the best, I think intelligence takes the ‘cringe factor’ out of them! However, this is still worthy of a *snort* and is very smart. So, what did you think? Were you counting your groans, eye rolls and stifled giggles!? 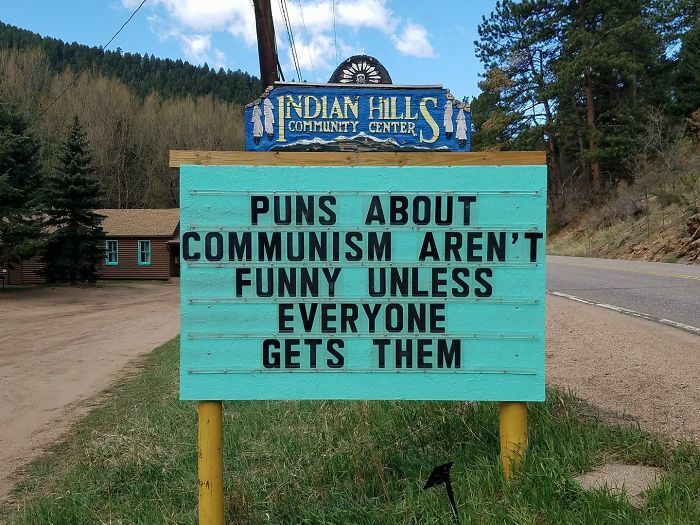 Or do you have better puns that would put these to shame!? If so, let us know, because we love em’! Get those Dad jokes coming!